People are often confused about what brand equity actually is. Is it the asset value of the brand? Is it the price premium that the brand is able to command? Is it the reduced price sensitivity that it can create? Is it the emotional connection that the brand makes with people? Is it the loyalty that customers demonstrate toward the brand? Is it the brand’s personality? Is it the brand’s positive associations? Is it the unique identity that it brings to its products and services? Is it the degree to which the brand personifies those products and services? Is it the way the brand is able to share values with its customers and serve as a self-expression vehicle for them? Is it the goodwill that the brand generates? Is it the memory triggers that the brand creates in people’s minds? Is it the ability of the brand to create meaning that extends beyond one product category allowing for brand extension? Is it the brand’s promise? Is it the brand’s unique value proposition? Yes, it is all of these. If a brand has equity it implies that the brand is an asset that has value. In fact, many studies over time have demonstrated that brand equity is a significant contributor to stock price, company valuation and shareholder value. So what should the purpose of brand equity measurement be? That is, a brand equity measurement system’s output should be diagnostic and actionable. Sometimes people equate brand tracking studies with brand equity measurement. Brand tracking studies tend to be fairly simplistic, often measuring just a couple of things and they are usually not very actionable. Sometimes people equate customer satisfaction scores with brand equity measurement. And sometimes people equate attitudinal loyalty scores (such as a brand’s Net Promoter Score) with brand equity measurement. All of these are helpful to some extent but they are not very comprehensive or robust. One needs to look at the whole picture. Unaided brand awareness (including first recall) associated with a particular product category. Related to this, unaided brand awareness associated with specific customer benefits. Top-of-mind brand associations. Related to this, a map of brand memory triggers. The brand’s top-of-mind points of difference. Importance of up to 24 customer benefits and values and the brand’s delivery against the same (allowing for the creation of brand positioning maps). Emotional connection to the brand (four separate measures). Attitudinal brand loyalty (two separate measures). We measure all of these brand equity components by customer segment for the brand in question and up to three competitive brands. 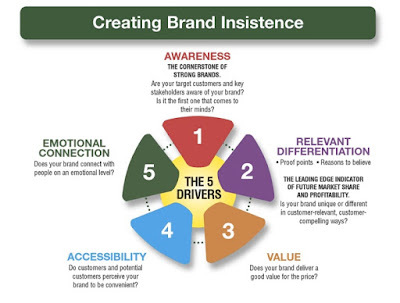 This provides a comprehensive picture of the brand’s strengths, weaknesses, opportunities and threats together with recommended actions to strengthen the brand. In a related brand asset mapping study, we map out all of a brand’s associations (purchase, usage, customer segment, product, service, function, feature, lifestyle, occasion, etc.) to identify opportunities for brand extension. 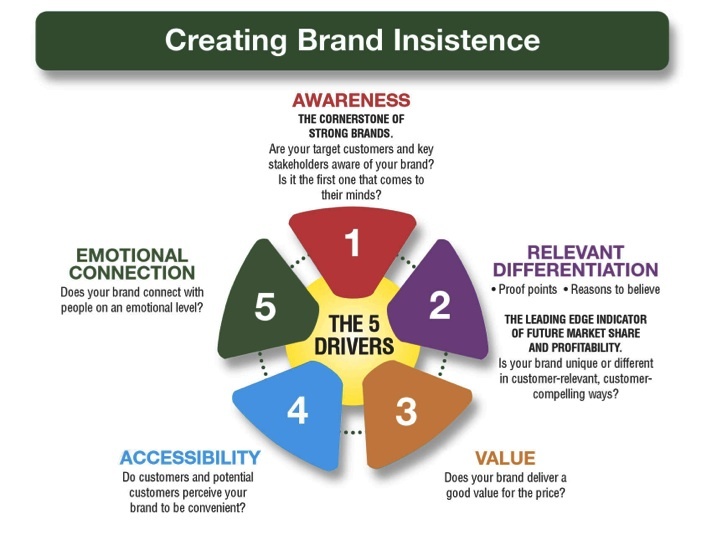 In another related study, we map all of the emotions with which the brand is associated for each customer segment, helping the brand manager establish a stronger emotional connection between the brand and its customers. I hope this has shed some light on the nuances of brand equity measurement. For more information on this, please refer to chapter 18 (Brand Equity Measurement) in Brand Aid,second edition. he vision then - which remains valid to this day - was to provide users with reality instead of abused accounting metrics, while at the same time giving the added benefit to use this for forward valuation purposes. Looking at a massaged non-GAAP earnings number gives you both a distorted view of a company's performance and a next-to useless foundation for valuation work. So from the very start, HOLT was developed through a practical, evidence-based lens. Not the other way around, more commonly used in finance, having theory pulls the carriage. To drill it down to its core: it was designed to arrive at a cash-flow number that mirrored reality, before companies even produced a cash flow statement and Warren Buffett spoke of "owner earnings".